The media are windows to the soul of humanity…exploring the spirituality of Catholic media artists. Discerning with St. Paul Monthly Mini-Course Will Continue in the Fall in 2013! 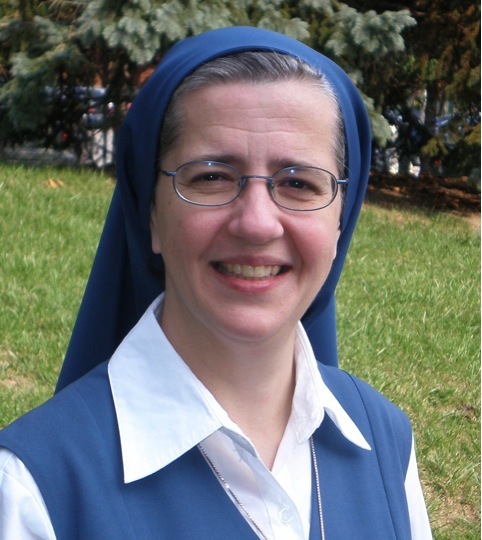 Sr. Marie Paul at 416-781-9131 ext. 226 or PaulineToronto AT gmail.com (replace AT with @). 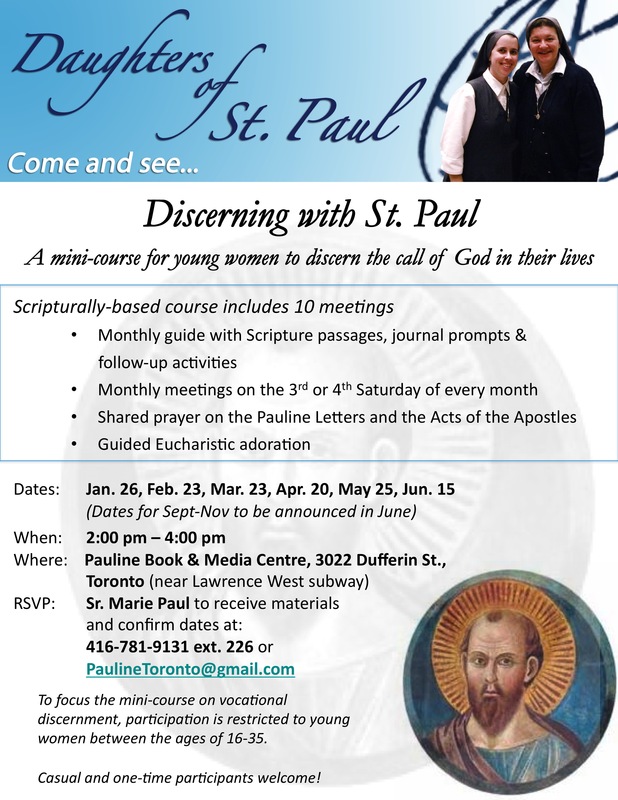 As I currently serve as the vocational contact for the Daughters of Saint Paul across English-speaking Canada, I hope that I can offer here a bit of light on your vocational path. What are your questions and concerns? Contact me here, and I’ll try to respond to your questions. I believe i have a vocation in writing and media but I dont know about making that into a career. I encourage you to go forward, whether writing is meant to be a career or something that you are not sure where it leads. If you feel “called” to write, I encourage you to give it a try! For those of us who are called, it’s an amazing adventure, and there’s nothing else quite like it. There are definitely many challenges and difficulties, so if it’s not meant for you, you will have plenty of opportunities to give it a second thought! (or third, or fourth) You can’t lose by giving it a try; at the very least it can be a great learning experience. Thank you for your prayers and support! It was a wonderful evening, full of inspiring stories, laughter, and good food. God bless you on your journey, too. Doing an online version is an intriguing idea! Maybe if we could all see the movie individually, then get together online at an arranged time for a Skype call or a Google hangout? 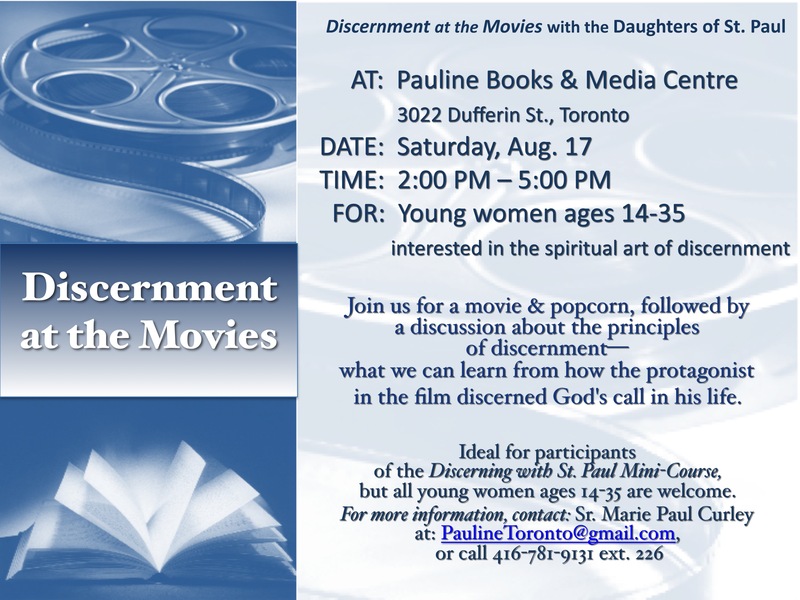 I will say that “Discernment at the Movies” is a really good way to think about, learn about, and see how discernment can be lived in all walks of life. Also, do you know about my other blog, http://www.CoAuthorYourLifewithGod.com, which specifically focuses on discernment? If you don’t, I hope you can visit when you have the opportunity. The blog will eventually turn into a book (I’m working on that in my spare moments), but in the meantime, I’m still posting weekly about discernment. In the meantime, you will be in my prayers as you continue discerning your vocation! Please pray for me, too. Thank you for directing me to your discernment blog. Sister. It has made me feel more welcome and worthy of the call God has for me in whatever state of life He calls me to and answered some questions and doubts already! You are so very welcome! I pray that you feel the loving guidance of the Holy Spirit during your discernment journey! Thank you for your prayers, too! God bless you. Every artistic effort, every media production, is a window to the soul of its creator. Our media culture is also a window--to the soul of humanity. As Christian communicators, we strive to let Christ's light within us glow through the windows of our souls--our media productions. 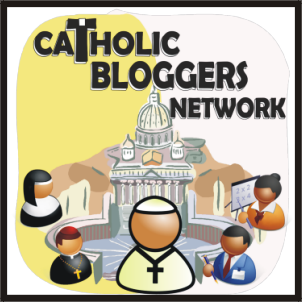 Welcome to my personal musings into the spirituality of being a Catholic media artist and a Pauline woman religious immersed in the world of communication. New Revised Standard Version Bible: Catholic Edition, copyright 1989, 1993, Division of Christian Education of the National Council of the Churches of Christ in the United States of America. Used by permission. All rights reserved. Copyright 2008-2015 Daughters of Saint Paul. All material on this site, unless otherwise noted, is copyrighted by the Daughters of St. Paul. The opinions expressed however, are solely mine.